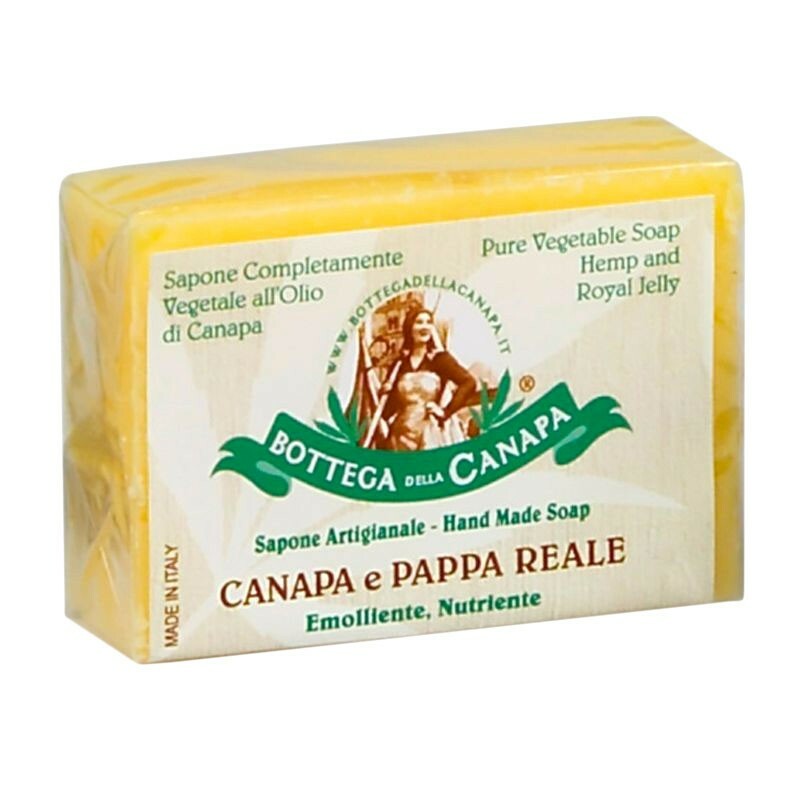 100% vegetable artisan soap with organic hemp oil and royal jelly. 100g pack. Emollient, nourishing. For normal and dry skin. Made in Italy. 100% vegetable artisan soap with organic hemp oil and royal jelly. Emollient, nourishing. For normal and dry skin.